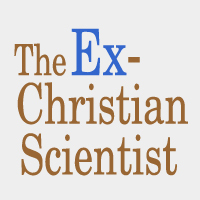 We understand that contemplating leaving Christian Science can be fraught with anxiety and the fear of losing community. This site offers support resources to help individuals negotiate a transition in a manner that best fits their needs and convictions. 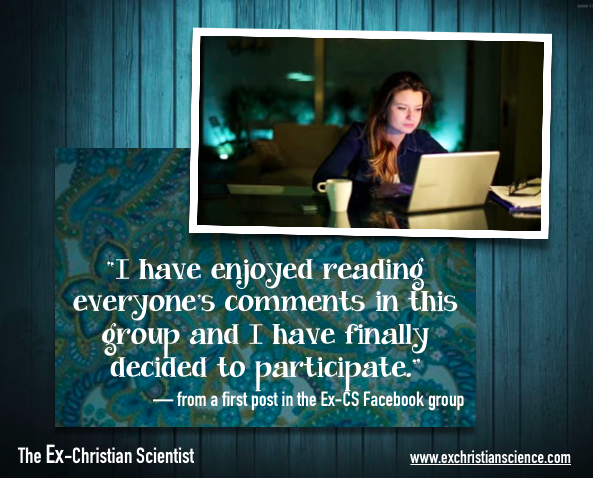 Looking for a particular topic? Visit the INDEX! Seeking fellow Ex-CS? Find us on Facebook! 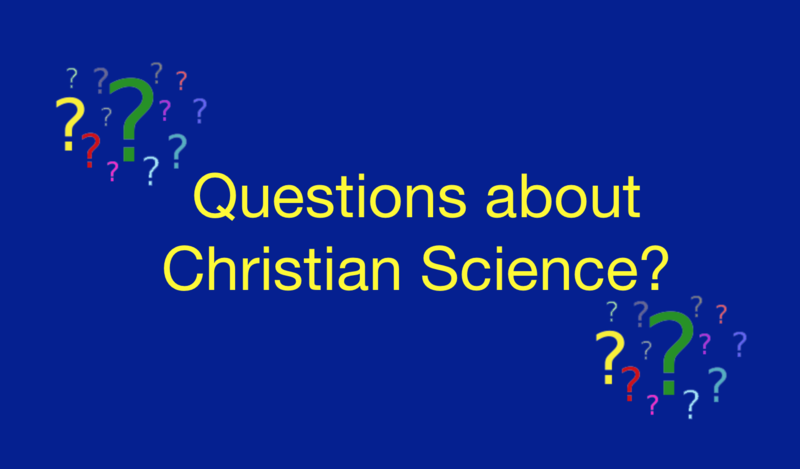 Questioning Christian Science & want to talk with someone? 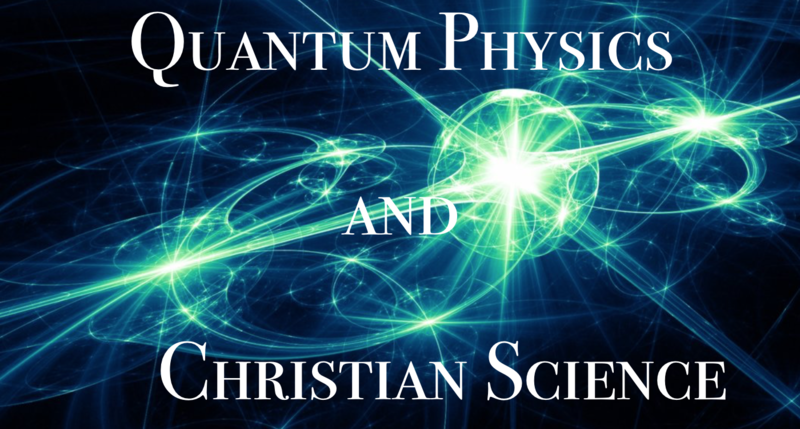 For those of you who are not and have never been “in” Christian Science. For the curious who would like to learn more. For those of you with friends who were raised in it or loved ones who have “discovered” it and you’re trying to understand. 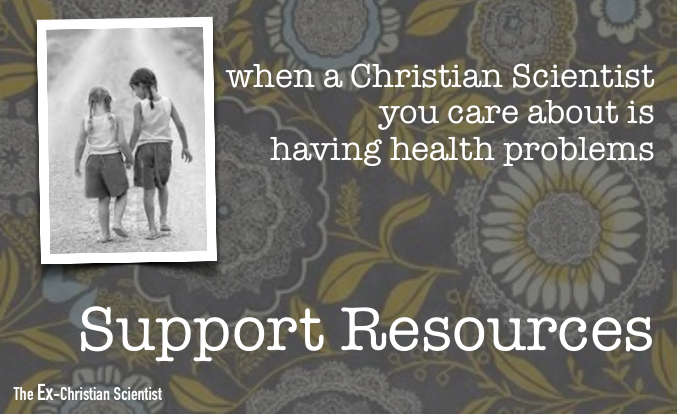 For helping family still in CS with health issues.